Filled with fresh apple cider, creamy Greek yogurt, and apple chunks, this smoothie is sweetened with Tate+Lyle® Honey Granules and is a refreshingly delicious drink. On the healthier side and full of flavor, this smoothie is perfect to sip on when enjoying the crisp, fall weather! Have you ever had a taste of something, maybe a cookie or a donut or drink, and all you can think about is THAT? That cookie, that donut…you just crave it and can’t wait until you can get your hands on it again. Well, that’s totally me with a cider smoothie. I had my first taste of this a few years ago while apple picking and I’ve been craving it ever since. Since I only go apple picking once a year, I can only fulfill my love for this smoothie then. And trust me when I say that waiting a year for it is such a long time! If you’ve never had a cider smoothie before, then you’re definitely missing out. It’s filled with apple cider, apple chunks, and creamy yogurt. It’s delicious, refreshing, and best drink to devour in the fall. And since it’s a smoothie, I feel a little better about drinking my calories away. After all, apples and yogurt are on the healthier side, right? But since I wasn’t able to make it to pick apples this year, I decided to get creative and whip up my own Apple Cider Smoothie. I put a unique spin on this drink, thanks to Tate+Lyle® Honey Granules. 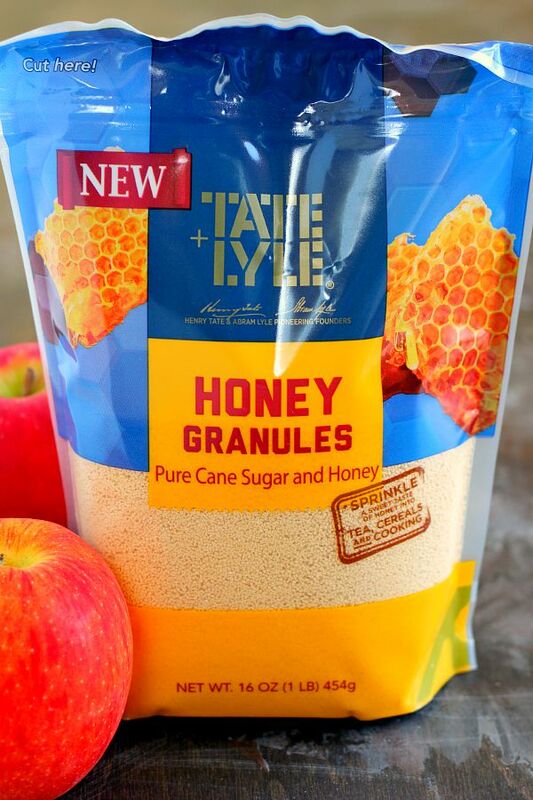 Have you heard of Tate+Lyle® Honey Granules before? It’s a blend of pure cane sugar and honey. It’s an easy way to sweeten up baked goods, drinks, and more without the mess of sticky honey. Friends, you’ll love Tate+Lyle® Honey Granules! I was so excited to try this product and have been using it daily ever since. 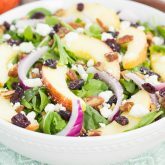 It’s a great way to substitute some of the sugar in your favorite recipes, while adding a touch of honey flavor. Trust me, you’ll love this just as much as me! Now back to this Apple Cider Smoothie. Filled with fresh apple cider, creamy Greek yogurt, and apple chunks, this smoothie is sweetened with Tate+Lyle® Honey Granules and is a refreshingly delicious drink. On the healthier side and full of flavor, this smoothie is perfect to sip on when enjoying the crisp, fall weather. This Apple Cider Smoothie reminds me of fall in a glass. 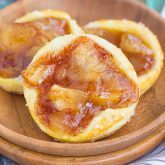 It’s sweetened with the Tate+Lyle® Honey Granules and filled with apples. It’s thick and bursting with apple cider goodness. So if you love apple cider as much as I do, then this is a must-make smoothie for you. And like most of my recipes, this Apple Cider Smoothie is a breeze to whip up. Simply combine all of the ingredients into a blender and blend away. I like to keep my smoothies on the thicker side, but feel free to blend until it reaches your desired consistency. So the next time you’re in the mood for a healthy, fall indulgence, whip up this easy Apple Cider Smoothie. It’ll be your new favorite drink for the fall! In the canister of a blender, combine the apple cider, yogurt, apple, Tate+Lyle® Honey Granules, and ice. Pour into two tall glasses, top with an apple slice (if desired) and serve immediately. I chose to leave the skin on the apple, but feel free to peel if you prefer. Thanks for the cider love, Arpita! 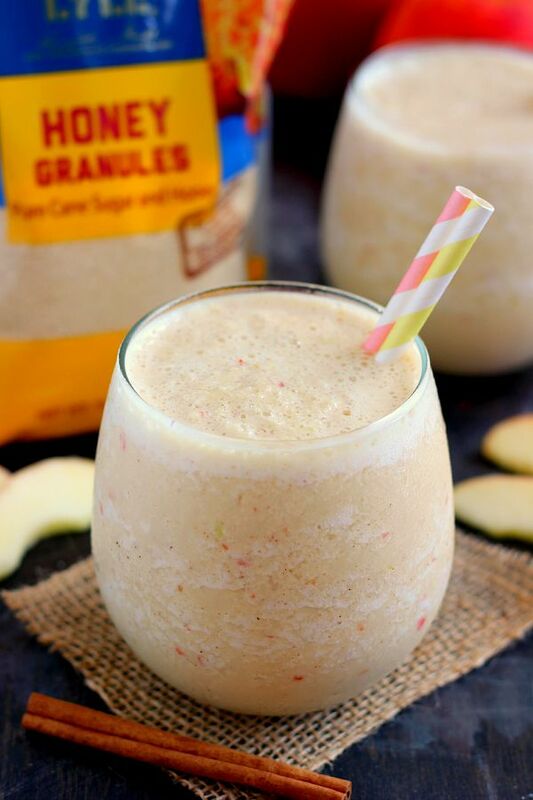 The honey granules give this smoothie such a great flavor! Megan, I think you would love this smoothie! The cider gives it such a refreshing taste! Well this looks like a gorgeously delicious cup of fall deliciousness! I wish I could send you some of our apples - we did go apple-picking and it's always so hard not to pick WAY too many apples! Apple cider donuts and now this smoothie?! You're killing it in the apple cider arena!!! I love this smoothie, Gayle! Thanks for the cider love, Alice! I've never had an apple cider smoothie but I totally want one now! It looks and sounds absolutely delicious especially with the honey granules! 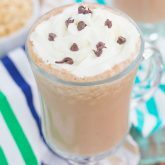 The perfect fall drink! Thank you, Kelly! 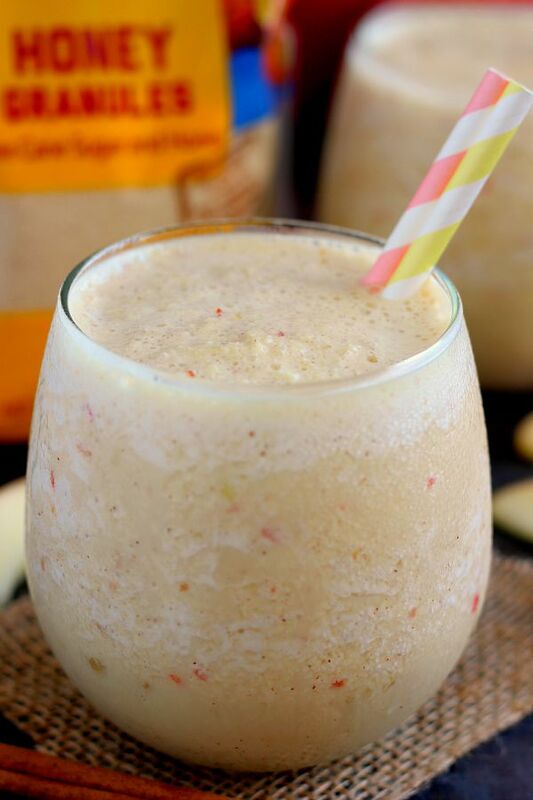 The honey granules and cider make this such a tasty smoothie! Oh, I bet this is such a delicious and refreshing sweet treat, Gayle! I love the idea of using the granules to sweeten things up (without the mess). YUM! WOW! This looks so good! What a fun recipe for early fall! :) I love it! Thanks so much for sharing and I hope that you have a great Monday! Thanks for the kind words, Cailee! Oooh, I Love the idea of an apple cider smoothie! Yum! And I have not seen those honey granules before, I will have to look for them! You and your fall recipes are making me so happy! This, like everything else, looks delicious :). Haha smoothie whisperer...I love it! :) Thanks so much for the cider love, friend! Wow, I am obsessed with smoothies, but for some reason I have never put apple cider in one. What a great idea! Thank you, Cathleen! Apple cider in a smoothie is so delicious! You are totally the smoothie QUEEN, Gayle! I have a ton of apple cider on hand right now that I'm pretty sure is begging to be made into this smoothie! Thanks, Sarah! Apple cider is the perfect fall ingredient for smoothies! Thanks for the smoothie love and pin, Mira! Gayle, this looks so refreshing! I've never had anything like this, but you make me wanna whip this up STAT! Thanks for sharing! Pinned! Thanks for the smoothie love and pin, Amber! This smoothie looks delicious, Gayle! Love the apple cider flavour! Those honey granules sound so good! Goodness, I am loving all your fall recipes! This smoothie looks perfect for sipping' on the front porch with a good book in hand! Apple cider is my favorite thing about fall! I love that you made it into a smoothie because now I have another excuse to purchase a gallon of cider. I have never had a apple cider smoothie before but I definitely need to try one soon! Sounds delicious Gayle! I love the use of honey granules, Gayle! We have a huge container of it. But the brand we buy calls it honey powder. It looks the same, though. It's really good in coffee, but I bet it's just as delicious in a smoothie. An apple cider smoothie at that. I can't wait to make this! Oh I love your suggestion of adding the honey granules to coffee! I'm definitely trying that tomorrow! :) Thanks for the kind words, Jen! Your smoothies are always so creative, Gayle! 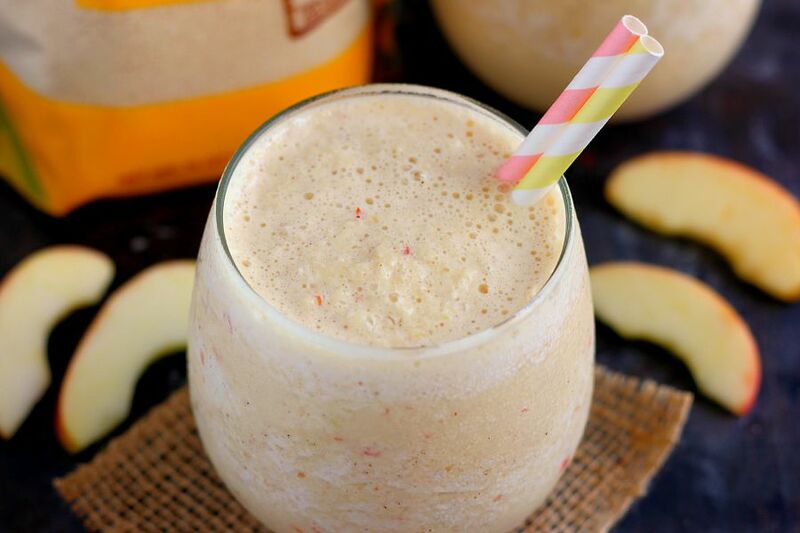 This Apple Cider Smoothie looks like another winning idea! Thank you, Rachelle! This is the best smoothie to sip on if you love apple cider! I can't believe I've never added apple to my smoothies. Now that I have a real blender that can take them on I mean! Lol. I am totally trying this! Apples in smoothies are SO good, Ashley! I think you would love it! oh those honey granules, I love them! 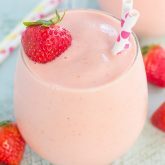 Such a tasty and good looking smoothie! Thanks for the kind words, Sina! Now that October is almost here, I have been CRAVING apple cider! This smoothie is just what I need! I've never tried honey granules before, but they sound like the perfect sweetener for any number of things! This smoothie sounds delicious with the Greek yogurt and apple cider -- so refreshing and full of fall flavor! 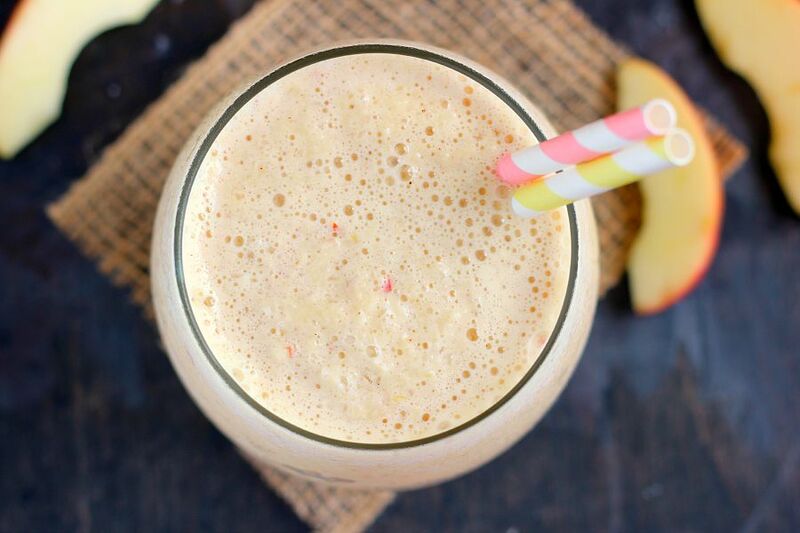 I've never tried an apple cider smoothie before, but this looks AMAZING! Love it! this sounds perfect! and love thats it's apple cider flavor! ;-) and that Tate+Lyle® Honey Granules I have never seen that before but it sounds super interesting! love this! This is sooo clever, Gayle! I love apple cider, but I've never thought of using it in a smoothie. Those honey granules sound so delicious too. A cider smoothie?! This sounds amazing! I've never had one before, but am so intrigued--I've got to try it! Wow, this smoothie is packed with so many delicious things! The honey granules sound amazing!!! Mmmm, what a perfect Autumnal smoothie! Apple cider is one of the reasons I love Fall so dang much! And how fun to put it into a smoothie - you always have the best smoothie ideas Gayle!! You would love it, Jess! Thanks! This smoothie looks amazing Gayle! I have never had an apple smoothie but now I know that needs to change immediately! I can see why you crave these every year! Apple cider smoothie? Yum! That sounds so good! Perfection Gayle! It's my favorite fall smoothie, Valya! :) Thanks!